It’s been good getting back into the swing of regular posting. In doing so I have discovered a couple things that need updating on this site. 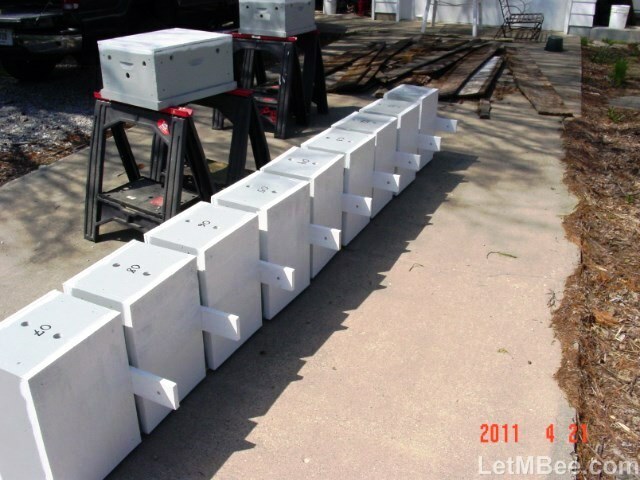 I have been talking about different aspects of swarm trapping for several years now. One thing I have failed to do is give a guide in one easy location for those wanting to get started. Therefore I have put together a Page called the Trapping Quick Reference. It will be accessible from the HOW TO… menu on the Main Page. It starts with building traps and goes through pretty much every aspect of the process. When reviewing this reference remember that it is NOT the definitive plan for everyone everywhere. I have only been doing this since 2011. I’ve just begun to scratch the surface on understanding of swarming behavior. Every year as I have made hypotheses, tested them, and modified my practices to become more successful. That is what beekeepers have historically done. This reference is intended to get you STARTED. Take what you can learn from here and begin experimenting on your own where you live. If you observe something profound don’t be a chump cricket about it. Pass it on! 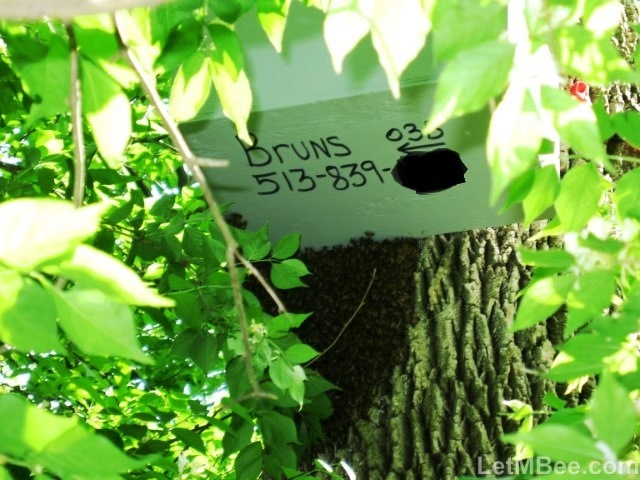 I don’t trap in other parts of the world, but if you live in the Midwest and follow this play-book I believe you will find to feral sourced bees where you live. Take this information and experiment with it. 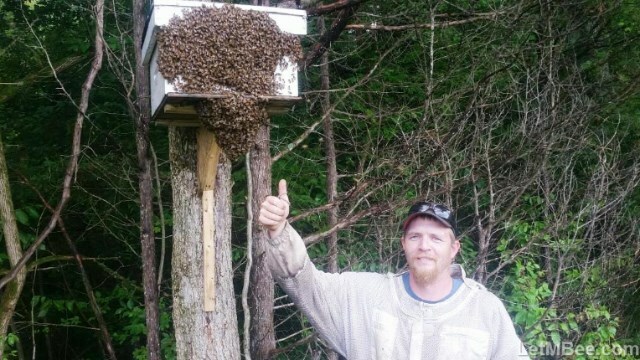 I have gotten videos and pictures from readers showing their successes using adaptations of these methods from all over so even if tweaking is required I am certain these methods will be a good starting point for beekeepers wherever you call home. 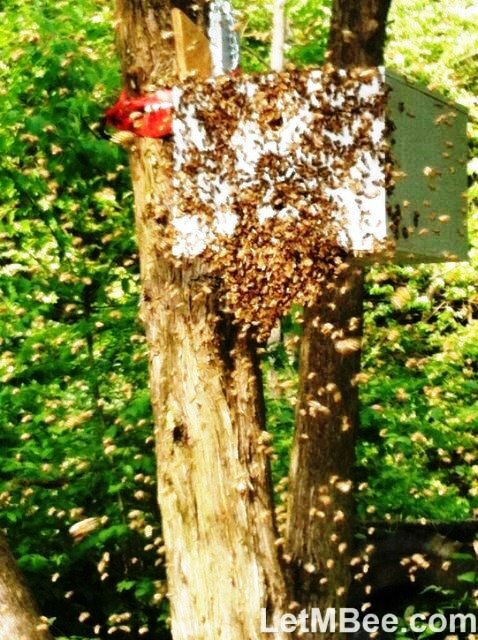 If you are willing to spend hundreds of dollars on package bees put some sweat equity into trapping. Your investment will give you better returns than packages. Remember where package bees come from and how they are treated before you get them (see Where do bees come from?). Let me be clear. NOT all swarm trapped colonies will survive. I caught 20 swarms in 2015. Three have already died and 2 more are on the fence. I could dwell on the idea that I lost those colonies OR be super stoked that I was able to catch 15 AWESOME colonies for FREE! This is animal husbandry and improving your stock through survivors. You cannot have a “survivors” category and not expect some colonies to be classified as “non-survivors”. It’s NOT about having ALL of your colonies survive every year. 100% survival is an illogical goal. How many human populations have 100% survival rate? If that’s what you’re aiming for either get more realistic or prepare for disappointment. There is an erroneous mainstream beekeeping belief that all of the feral colonies died when varroa was introduced to North American. This idea is a great for those selling bees, but it’s BUNK. Far too much money changes hands because of ignorance. 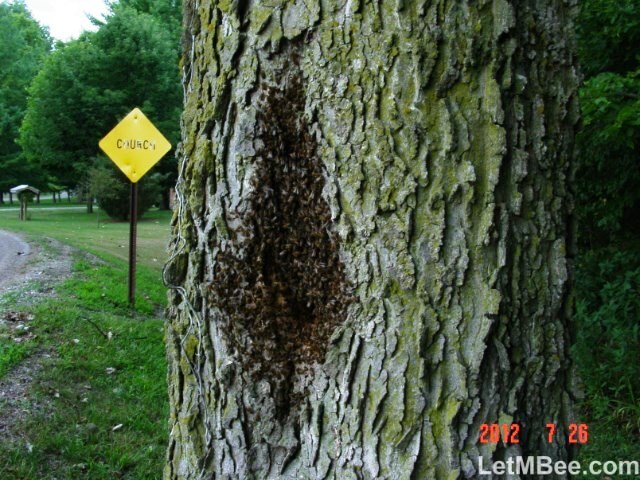 In my part of the Mid-West there are bees anywhere that they can find suitable habitat. I believe the limiting factor where I live is available cavities. Anywhere that I find a lot of old trees big enough to house bees…. I find bees. Even though I’m in a mono-crop desert as far as forage is concerned… bees are here living a feral untreated, unfed existence. 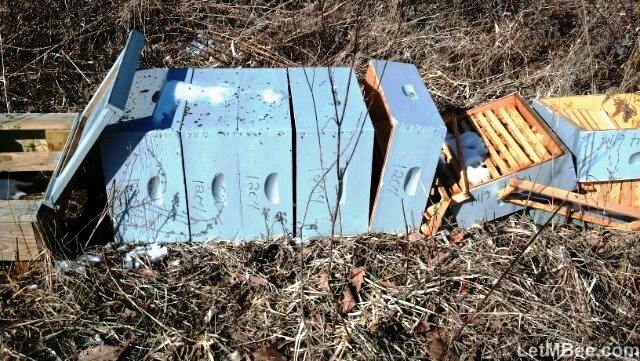 While your bees are doing their job you can focus on your life and building more woodwork instead of “keeping your bees alive“. Remember the idea of obtaining bees from packages OR even as nucs are NEW methods when you look at how long humans have been keeping bees. Where’d they get them from 200 years ago? 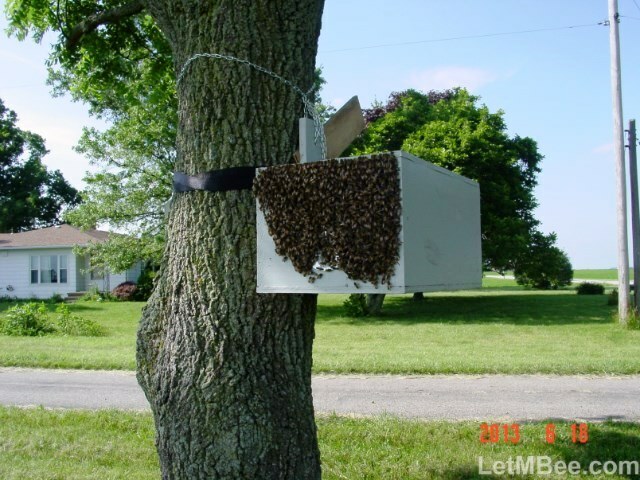 I view swarm trapping as a small, slow, sustainable solution to a lot of beekeeping woes. The world we live in today has conditioned us to seek instant gratification, so if you aren’t sure there are bees in your area and JUST GOTTA HAVE EM NOW! I get it… I was that way when I started keeping bees too. It’s OK…. Not only that it’s the perfect opportunity for an experiment that will lead you to enjoy beekeeping and make you a lot more knowledgeable about bees in your geographic region. Go ahead and make up 5-15 traps. Buy your bees AND place your traps. This will give you an excellent opportunity to make comparative observations between purchased colonies and feral caught swarms. I know I have readers who are conducting this little experiment now and seeing differences. My grandfather had several sayings he was fond of repeating. He lived what some would call a simple life, but was very successful and made a huge impression on me as a young person and even more now as an adult. His bar of accomplishment was set amazingly high despite only having a “formal” education that I don’t think went past the EIGHTH GRADE. He liked to say that “It’s better to WANT something you don’t have than to HAVE something you DON’T WANT!” As with most everything in my life these days this saying is directly applicable to beekeeping. In beekeeping it’s better to want stock you don’t have than to have a bunch of stock that complicates your life and is a drain on your beekeeping operation. As stated before be looking for changes and updates in the near future. Here’s another link to the Trapping Quick Reference, have a nice weekend. Questions? Leave a comment – Don’t be a CHUMP CRICKET! 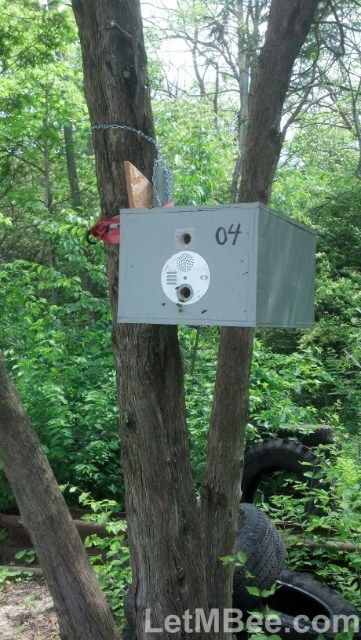 This entry was posted in Feral Bees, Genetics, HowTo, Swarm Trapping and tagged bee swarm trap, swarm box, swarm trap plans, swarm trapping. Bookmark the permalink. Just found this site today and I love it. Didn’t want to be a chump cricket and not tell ya. Gonna try to read the whole thing little by little. I haven’t been as diligent as I would like to with churning out content, but I’m still plugging away at it. If you have questions along the way either ask in the comments or drop me an e-mail. Thanks for reading and NOT being a chump cricket about it!